The Trump administration may be doing everything in its power quell the tide of renewable energy, but the world is ready to ride the wave. According to a new report from the International Energy Agency (IEA), a combination of falling prices, rising investments and stronger government support outside the U.S. have sent solar and wind installations skyrocketing. Last year, the IEA reports that more solar photovoltaic generating capacity was added to the globe’s energy mix than coal, gas or any other energy source. That strong growth helped ensure that renewables accounted for two-thirds of all capacity added to the world’s grid. That’s the equivalent of enough generating capacity to power 31 million American homes. While fossil fuel plants continue to be added to the grid, they’re lagging behind wind and solar additions. Not only that, older coal and natural gas plants are being shuttered. The net result is that renewables now account for 24% of the world’s electricity generating capacity. “This marks a turning point and underpins our more optimistic solar photovoltaic forecast which is revised up by over one-third compared to last year’s report,” IEA authors wrote in their report summary. That’s no more true than in China, which has used its strong central government to fuel a rapid expansion of solar. The country accounted for about half of all new solar installations last year, which doesn’t include dope panda-shaped solar farms added this year. China is also producing 60% of all new solar panels in the world, which has helped drive a rapid drop in prices. The IEA also sees a rosy outlook for renewables looking into the future. Its projections indicate that in just five years, there will be enough renewables on the grid to provide 8,000 terrawatt hours of electricity, or the equivalent of the annual electricity usage of China, India and Germany combined. This is the good news for people who love good news. If you’re one of those people who loves bad news, however, then I have some news for you, too. The world still has a long way to go to completely ween itself off fossil fuels: Remember, electricity generated by wind, solar, hydro and other forms of clean energy only accounts for 24% of total power generation. Coal is still the main way the world generates it electricity. And while the additional renewable capacity is great, capacity is different from actual generation. Solar needs the sun to shine and wind needs the wind to blow in order to generate electricity. Batteries are one way to overcome the sometimes fickle nature of the elements, but there’s still a lot of work to be done on that front to bring costs down and improve reliability at scale. If you’re a MAGA type, then seeing China top the list of new renewable capacity additions may also not seem like the best news. U.S. solar manufacturers have claimed cheap Chinese panels hurt their bottom line, a position the International Trade Commission just agreed with last month. 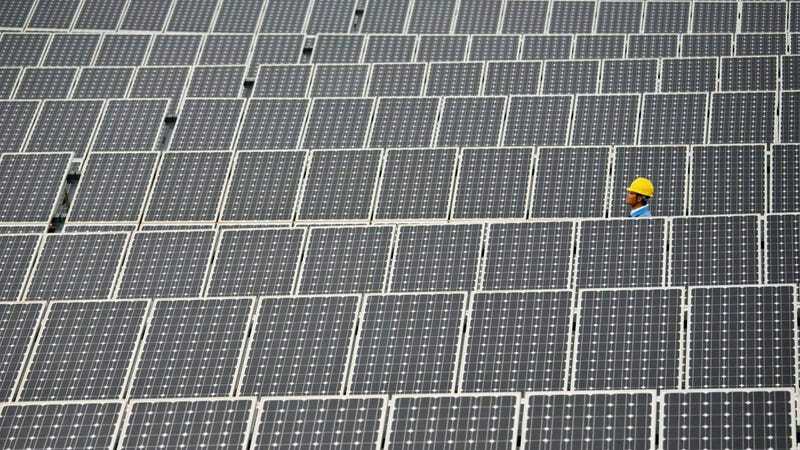 The decision opens the door for the Trump administration to impose tariffs on Chinese solar panels, which could slow solar uptake in the U.S. The Trump administration has also been trying to make America great again by using more fossil fuels and touting unproven solutions like clean coal, while China is clearly pivoting toward a future where the world’s economy is powered by renewables. The U.S. is still the second biggest installer of renewable capacity in the world. But the Trump administration’s hostility toward the nascent renewables industry has put a bit of a cloud of IEA’s forecast and could mean that China continues to eat the US’s lunch off a silver (okay, silicone) platter.